Darshan Jayesh Shah from Mumbai, BBA Graduate. SALES RESEARCH BUSINESS DEVELOPMEN.. MARKETING CUSTOMER RELATIONSH.. EVENTS PROMOTIONS OPERATION MANAGEMEN.. BRAND DEVELOPMENT ADMINISTRATION CSR IE CORPORATE SO..
are one of expert skill area's of Darshan Jayesh Shah . 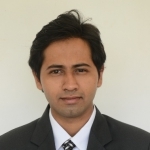 Darshan Jayesh Shah is working in Sales Marketing industry.